Update, for the coming Halloween. 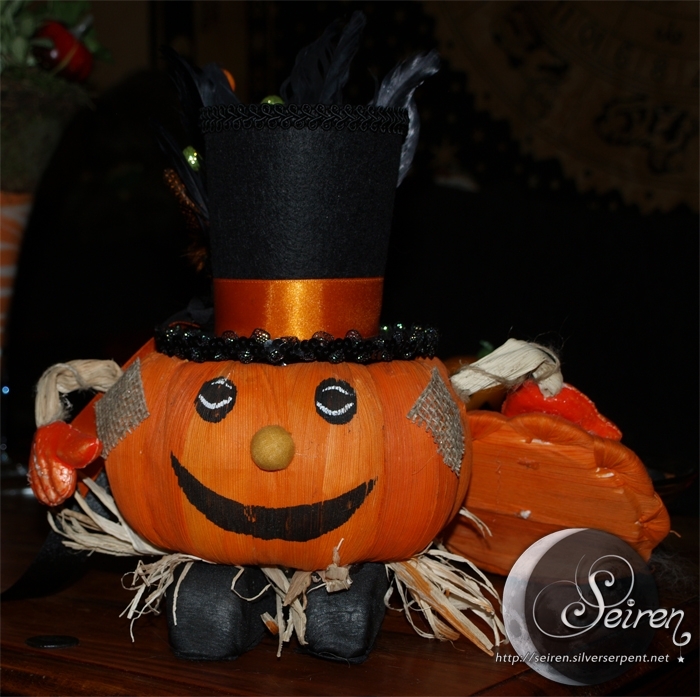 I’m still letting one of my pumpkins model in my homemade Halloween mini-hat, but I’m showing some new pictures of it too. The hat is the first mini-hat I ever made, from black wool, orange satin and a bunch of decor in black, orange and green. It measures about 10,5 cm i height and the brim about 12,5 cm in diameter. Made from my own patterns. Click on image for front, side and back view of the hat.